Yes, that’s right! Chuck E. Cheese’s now offers a gluten-free menu option. Did you know that the month of November is Gluten-free diet awareness month? According to the Wall Street Journal, “1 out of 15 children in the United States” have some sort of food allergy.” The statistic alone is disheartening as it seems to be on an incline. Because so many children throughout the United States are suffering from diet restrictions, like wheat products, Chuck E. Cheese’s has launched its new gluten-free pizza and even cupcake options on all store locations menus to accommodate guests with these special dietary needs. Apparently, Chuck E. Cheese’s received positive feedback during their gluten-free pizza and cupcake pilot test that took place just this last spring. They have now moved ahead on this journey toward offering these gluten-free products to stores and to families all across the country. Families and children can now enjoy a menu catered to their gluten-free diets. This is great news! Double kudos to Chuck E. Cheese’s for making this decision on behalf of families and nutrition. How exactly was this decision achieved and how did the products come about? 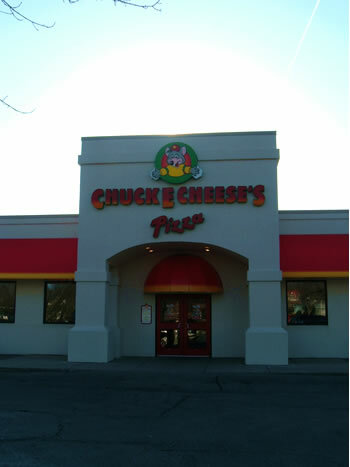 Chuck E. Cheese’s worked with two partners to develop this process. Thanks to Conte’s Pasta and Fabe’s All Natural Bakery for helping make this possible. The gluten-free pizza arrives at Chuck E. Cheese’s in pre-sealed packaging straight from New Jersey. It is a certified gluten-free facility. The chocolate fudge cupcakes are also pre-sealed in a single-serving package straight from this respected bakery. For full story, click here. Families and children all across the country with gluten-free diets, can now enjoy this popular family-friendly food chain to the fullest. I know a few families that chose to avoid Chuck E. Cheese’s altogether or even turn down birthday party invitations due to their allergies. Now, they don’t have to and I can see the smiles begin to form even now. Spread the word to your friends about this new gluten-free menu option. Chuck E. Cheese’s pizza fans can now follow updates about the family entertainment center’s new gluten-free pizza and cupcake by visiting Chuck E. Cheese’s Gluten-Free Facebook Application. Are you happy about Chuck E. Cheese’s new menu option? We would love to hear from you. Who Wants To Win $500 in Car Repairs From Pothole Damage?! We are Gluten Free, so yippie! !